Washington, D.C. (March 2, 2017)— The ALS Association is pleased to announce $600,000 in new funding for research to champion bright, young scientists in the ALS field through our Milton Safenowitz Postdoctoral Fellowship Program. The Association understands the importance to support young scientists to enter and remain in ALS research, in order to promote their innovative ideas. Our fellowship has demonstrated success since its inception, since 90 percent of our postdoctoral fellows remain in ALS research to start their own laboratories. The Association funds a number of different grants as part of its TREAT ALS™ research portfolio, including the Milton Safenowitz Postdoctoral Fellowship for ALS Research program. The Fellowship was founded by the Safenowitz family through the Greater New York Chapter of The ALS Association and in memory of Mr. Safenowitz, who died of ALS in 1998. These awards are to encourage and facilitate promising young scientists to enter the ALS field. The Greater New York Chapter of The Association and the Safenowitz family continue to fund this important program. Vicente Valenzuela, Ph.D., under the guidance of Claudio Hetz, Ph.D., at the University of Chile in Santiago, will receive $100,000 to develop gene therapy to attenuate endoplasmic reticulum stress in ALS. More information on his project here. Bruno Miguel da Cruz Godinho, Ph.D., under the guidance of Robert Brown, Jr, M.D., Ph.D., of the University of Massachusetts Medical School in Worcester, Mass., will receive $100,000 to study silencing mutant SOD1 and C9orf72 in vivo using innovative hydrophobic siRNA scaffolds as a novel therapeutic path for the treatment of ALS. Funding generously provided by Christopher Pendergast from Ride for Life. More information on his project here. Sergey Stavisky, Ph.D., under the guidance of Jaimie Henderson, M.D., of Stanford University in Stanford, Calif., will receive $100,000 to develop a clinically useful brain-machine interface control of a robotic prosthetic arm for people with ALS. Funding generously provided by the Greater Philadelphia Chapter. More information on his project here. Tiffany Todd, Ph.D., under the guidance of Leonard Petrucelli, Ph.D., of the Mayo Clinic in Jacksonville, Fla., will model selective vulnerability and disease-specific functions in mice by comparing C9orf72 repeat models to a novel disease control. More information on her project here. Jeanne McKeon, Ph.D., under the guidance of Daryl Bosco, Ph.D., of the University of Massachusetts Medical School in Worcester, Mass., will receive $100,000 to study the disruption of actin dynamics as a pathogenic mechanism in ALS. More information on her project here. Amanda Gleixner, Ph.D., under the guidance of Christopher Donnelly, Ph.D., of the University of Pittsburgh in Pittsburgh, Pa., will receive $100,000 to study the link between impaired nucleocytoplasmic trafficking in C9orf72 ALS and altered nuclear pore complex O-linked N-acetylglucosamine (O-GlcNAc) posttranslational modifications. Funding generously provided by the Greater Philadelphia Chapter. More information on her project here. 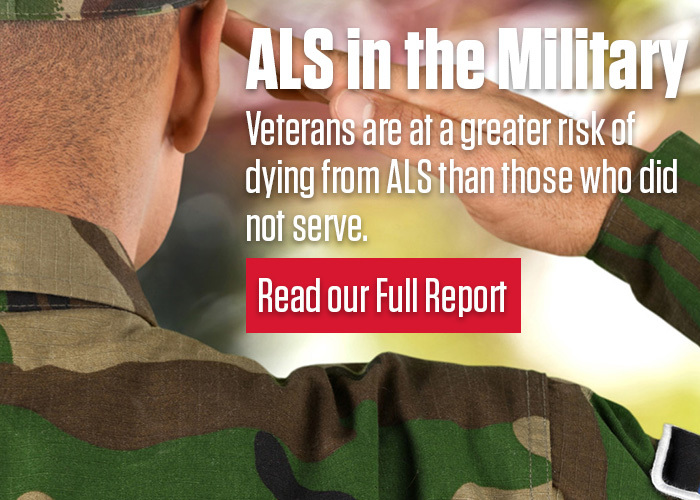 To explore these and other active research projects that The ALS Association is supporting, please visit http://www.alsa.org/research/research-we-fund/.